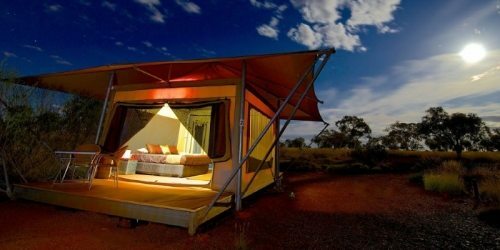 At Karijini Eco Retreat we cater for guests of all ages and offer a choice of accommodation facilities ranging from our deluxe eco tents, dorm style cabins, to campsites for visitors that prefer to bring their own accommodation! The well-appointed eco-tents are our flagship accommodation type and are available with an ensuite bathroom. 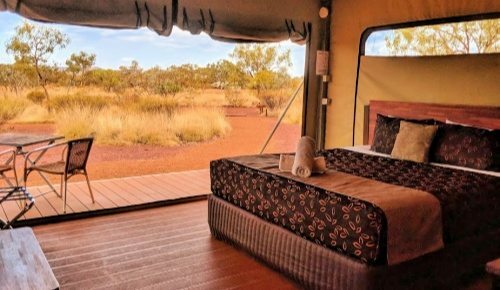 These provide a glamorous close to an adventurous day, offering comforts not usually associated with camping, such as quality beds and linen, fans, fixed flooring and an outdoor deck to enjoy the uninterrupted view of the night sky. Please click on the links below to explore the options that we offer! Campsites are available for campers, campervans and caravans. (Max 1 vehicle plus tent, trailer, caravan and up to 6 guests per site)Please Note: Children up to 12 years of age stay free with a minimum of 2 adults on campsites. For children aged 13 and above please class as adults in your booking details to ensure your booking is processed correctly. 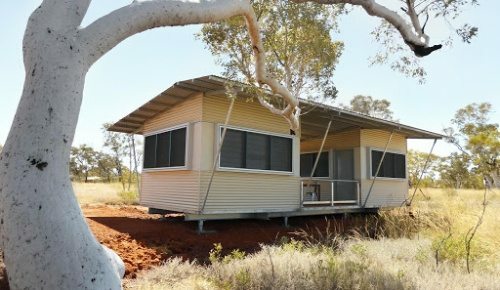 'Dorm' style Eco Cabin.Suited to groups of up to 8 people, compact Eco Cabins are in blocks of 2 and sleep 4 people per cabin in bunk beds with shared decked seating area.Use of shared ablutions. 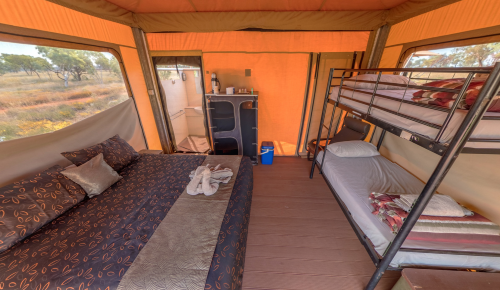 The comfortable and well appointed deluxe eco tents feature ensuite bathroom, quality bedding and linen and a deck. Includes continental breakfast for 2 people. Perfect for a unique glamping experience. 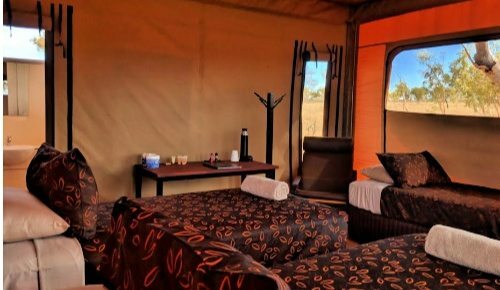 The comfortable and well appointed deluxe eco tents feature twin beds, ensuite bathroom, quality bedding and linen and a deck. Includes continental breakfast for 2 people. Perfect for a unique glamping experience. 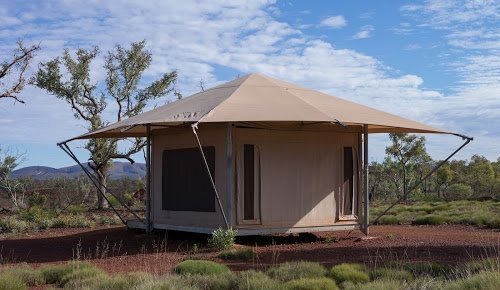 The comfortable and well appointed deluxe eco tents feature 3 single beds, ensuite bathroom, quality bedding and linen and a deck. Includes continental breakfast for 3 people. Perfect for a unique glamping experience. The comfortable and well appointed deluxe eco tents feature a king + single bed, ensuite bathroom, quality bedding and linen and a deck. Includes continental breakfast for 3 people. Perfect for a unique glamping experience. The comfortable and well appointed deluxe eco tents feature a king bed + bunk beds, ensuite bathroom, quality bedding and linen and a deck. Includes continental breakfast. 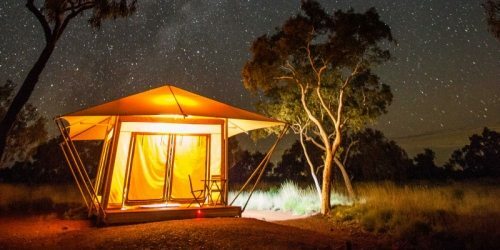 Perfect for a unique glamping experience.